Jemele Hill has been making a lot of headlines over the last few days after tweeting that she thinks Donald Trump is a white supremacist, and "the other side" (republicans) have done nothing but support white supremacy. She was not disciplined whatsoever by ESPN. All they did was issue an apology statement regarding her actions. Based the ratings for her show The 6, she is likely not used to this much attention. I took a look at The 6's viewership over the last six months. There is one MAJOR trend that I noticed right off the bat: the ratings are plummeting. In order to analyze the ratings I looked at daily average viewership. 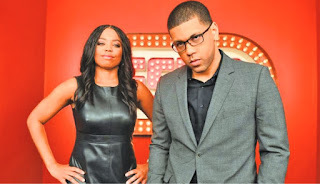 From March 14th, 2016 through September 9th, 2016, average daily viewership of Sportscenter was 480.5 thousand viewers. In the same period in 2017, when The 6 took over the 6:00 PM hour of Sportscenter, average daily viewership was 424 thousand viewers. That is a drop of of 11.7%. This shouldn't come as a surprise considering The 6 is practically unwatchable. The stat that really jumped off the page was the drop-off of viewers after the 5:30 PM showing of Pardon the Interruption. Average daily viewership for PTI in the same 2017 comparison period was 684 thousand viewers. Seeing as average daily viewership for The 6 was 424 thousand people, that means 260 thousand people are changing the channel or turning off the TV when The 6 comes on, a drop off of 38%. I won't claim to be a media expert, but even I can tell that it should be alarming for ESPN that one of their key personality's ratings are dropping at an alarming rate. Based on the piss-poor content in the show and the fact that Hill effectively called half of America white supremacists, I don't expect for her numbers to rebound. What a god awful article. Yeesh. What was PTIs drop since last year? 11.8% drop is hanging out there with ZERO context. What was the drop off in 2016 from PTI to the 6 O'Clock hour? Again the 38% drop has ZERO context. Tell us the story not some one sided awful piece. The 617 Report covers the topics that you are interested in. Blogs range from Boston Sports, Media, and current events in Boston and across the country. Click on the twitter link above to follow along on twitter and stay up to date with any new posts. For any questions or concerns feel free to reach out at 617Report@Gmail.com or via Twitter Direct Message. The 617 Report. Powered by Blogger.